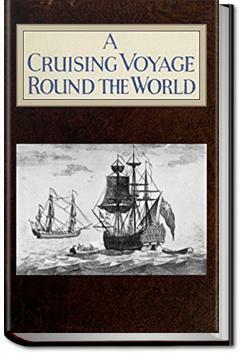 The story of the first privateer and his adventures; including the account of Alexander Selkirk's living alone on an island off Chile which formed the background to Robinson Crusoe. . . .brugh will not be permitted to go off, and there will be extravagant Reprisals made upon our Estates and Persons, which we expect you will take into your Consideration: and we cannot omit to let you know, that there is now a Spanish Bark actually in England, which is daily expected with other English Ships to load Wine, which they will not be admitted to do, in case you don’t restore this Bark. We don’t doubt but the People here out of Complaisance will make you some acknowledgment of a Refreshment. Gentlemen,Your very humble Servants,J. Pouldon, Vice-Consul, J. Crosse,Bernard Walsh,G. Fitz-Gerald. ‘Pray excuse Haste, that we have not time to transcribe. ‘The rest of the Merchants are in the City where our Governor generally resides, being about six Leagues hence. Wealthy son of a wealthy man takes to the sea to prove something to the parents, presumably. Seeks adventure, finds the limits of his own capacity. Loses everything in the process and then stumbles upon a hell of a story in the process.